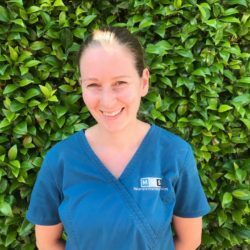 Toni initially started working at an Equine reproduction facility but after her first day spent in a Small Animal clinic she was hooked and hasn’t looked back since. Toni has a love of hospital nursing, and fostering neonatal kittens and enjoys playing a role in the day to day running of the clinic. Outside of work Toni enjoys hiking the many tracks that can be found locally, and occasionally venturing further afield to take in some on NZ’s breath taking scenery. After a trip to Europe she officially has caught the “travel bug” and further over seas travel is on her bucket list. Toni also has a love of all things 1920’s to 1950’s and is a regular at Art Deco weekend, Beach Hop and many other events where there is a opportunity to put her glad rags on and kick up her heels. Christina joined MVS in September 2015 after being at the Animal Emergency Centre in Mt Albert, Auckland for 4 years. 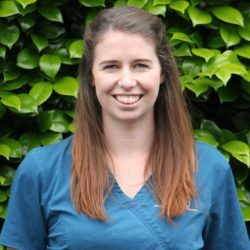 Christina completed her Veterinary Nursing Diploma in December 2011 at the Unitec Institute of Technology in Auckland and prior to that she spent 3 years doing calf rearing in the South Island. Christina really enjoys a challenge at work and is always willing to do her best to help patients through the tough times. She excels in emergency and toxicity situations, as it is a main interest of hers and she has a lot of experience in it. You will often find her ‘head down, bum up’ counting or ordering stock as she manages the stock system for the department. A quote that Christina especially resonates with is “loving animals means loving all animals, not just the ones we share our homes with”. Outside of work Christina will be found in her backyard fixing or doing up things on her 3.5 acre lifestyle block. She also actively competes her horse ‘Lady’ at Eventing Horse Trials all over the North Island, as well as having lessons with top NZ riders. Christina is also on the committee for the Walton Boxing Club and will be found there training 3 times a week. She has a Springer Spaniel called Cruz and 6 chickens who keep her very entertained outside of work. She graduated from Waikato University in 1996 with a Bachelor of Social Science and also graduated from Wintec in 2002 with a Certificate in Vet Nursing. Kristie originally joined MVS in 2002 spending 12 years in the Small Animal and GlenBred Teams. She couldn’t resist returning to MVS as a Small Animal Vet Nurse Administrator in 2018. Kristie has a love of animals, an interest in dog behavior, enjoys the organizing of our busy day to day schedule and meeting and greeting clients. She will be one of the first people you see when you walk through the door. Kristie is married to Tony, they have a old son Liam and a golden retriever called Bailey. Outside of work Kristie is passionate about travel, enjoys squash, yoga and the great outdoors. 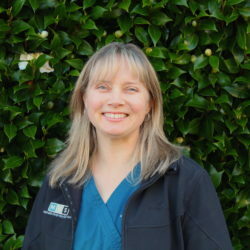 Esther joined Matamata Vets as a small animal nurse in February 2019. Esther became a veterinary nurse in 2017, and is soon to graduate with her diploma. Esther enjoys the variety that nursing brings with a special interest in the intensive hospital nursing care. She strives to make the stay for our hospital patients as comfortable as possible and goes that extra mile to give them all lots of TLC. Outside of work Esther enjoys hanging out with her husband and 4 children. They enjoy the outdoors, swimming and the beach. Esther also has a well loved animal family consisting of 2 cats 2 dogs and 3 chickens. 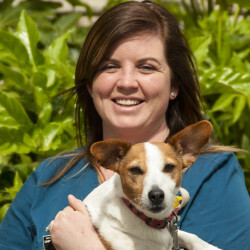 Stevie joined the small animal nursing team in February 2019. 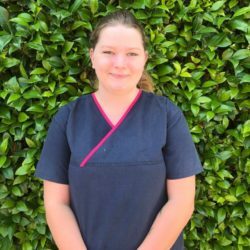 She graduated as a Veterinary nurse from Wintec in Hamilton in 2018 and is excited to have started her nursing career with Matamata Vets. Stevie is very interested in surgical nursing and the various rewards and challenges it brings. She likes to provide excellent monitoring and care to our fury friends. When Stevie is not at work she enjoys travelling with her partner, going to car meets, races and gaming.